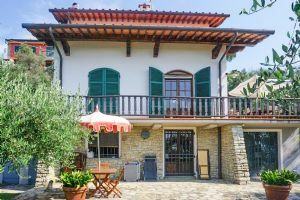 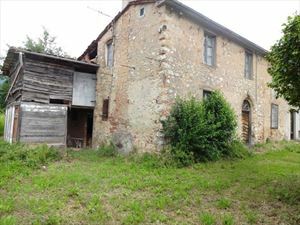 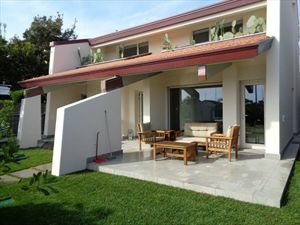 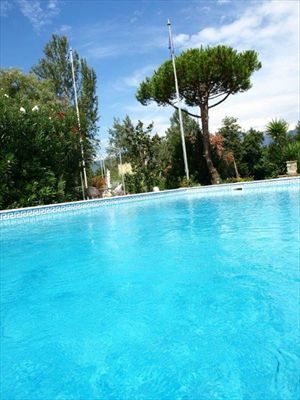 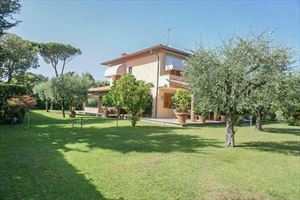 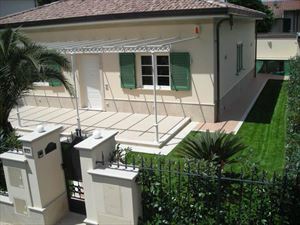 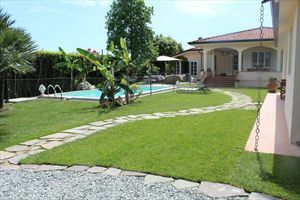 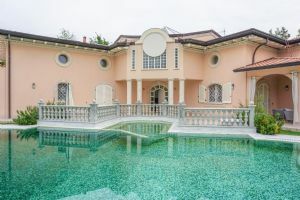 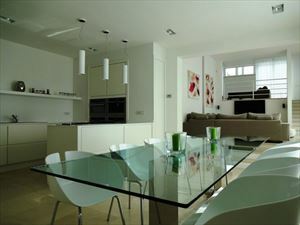 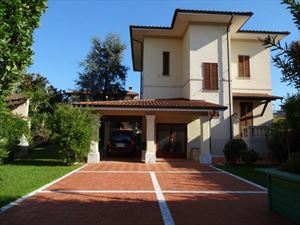 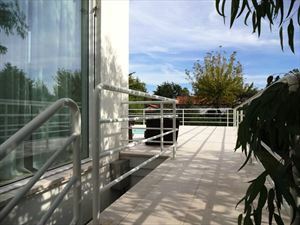 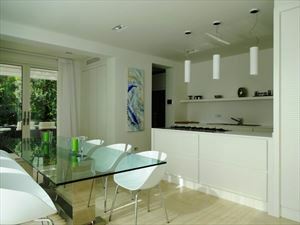 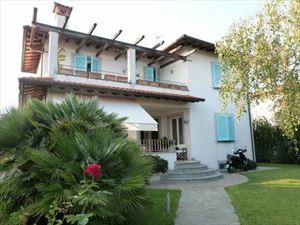 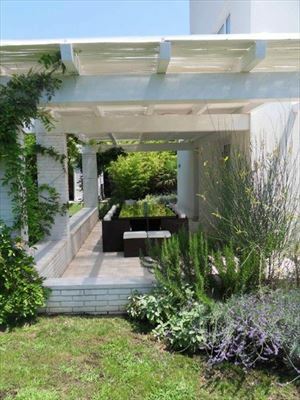 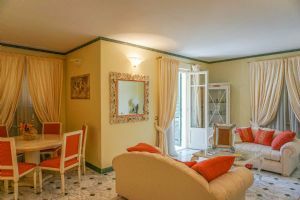 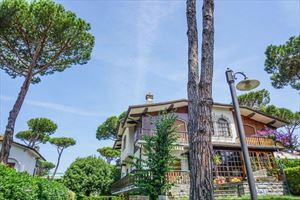 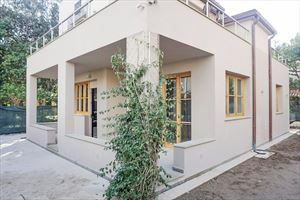 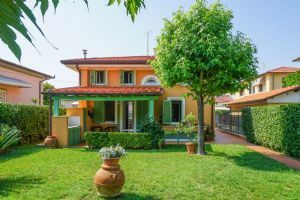 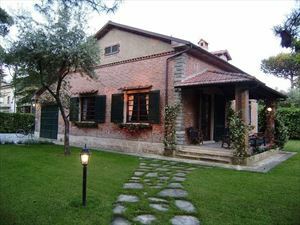 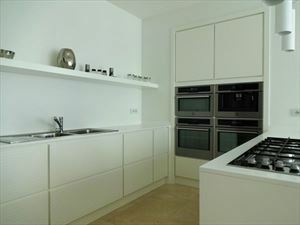 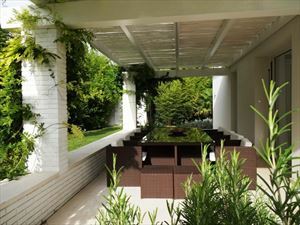 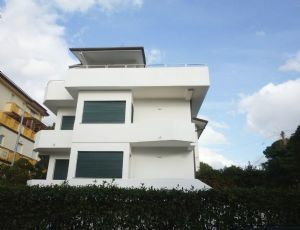 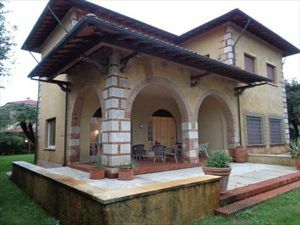 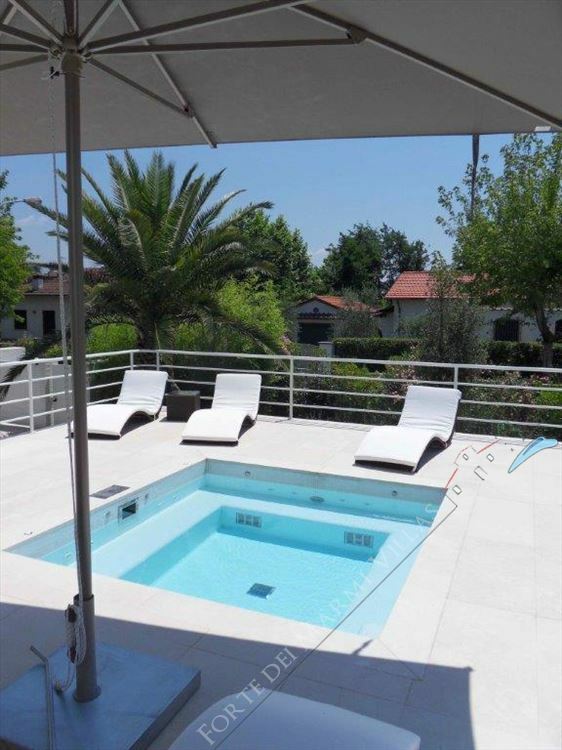 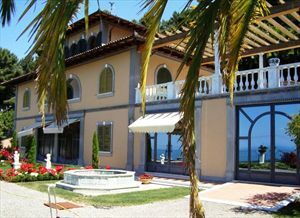 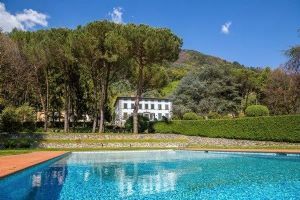 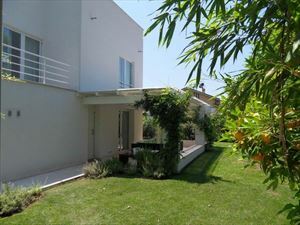 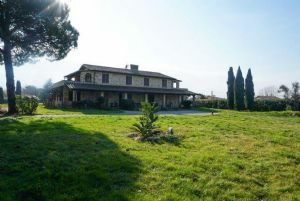 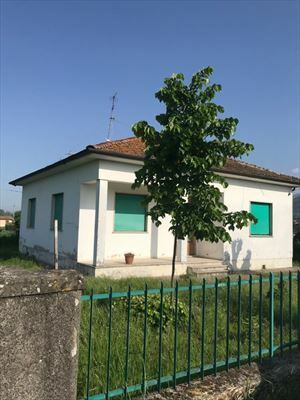 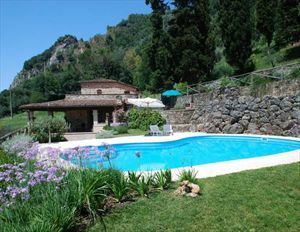 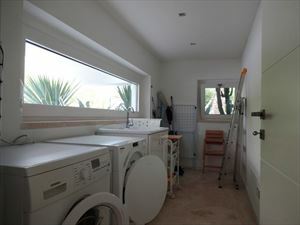 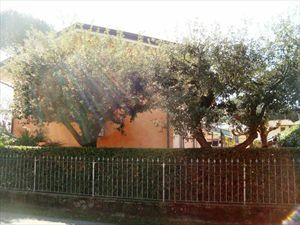 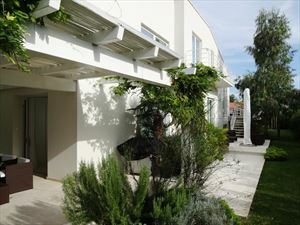 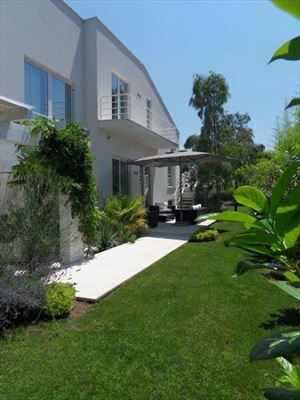 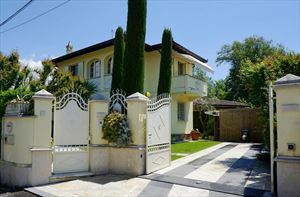 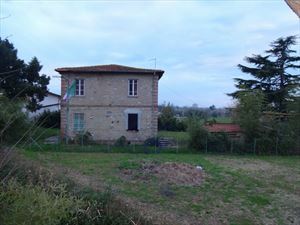 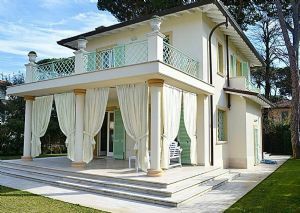 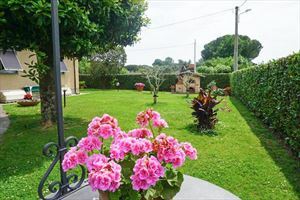 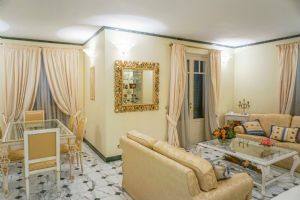 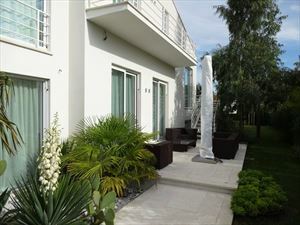 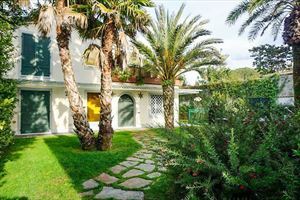 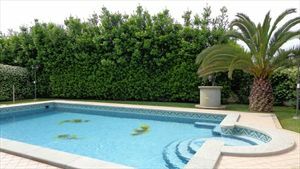 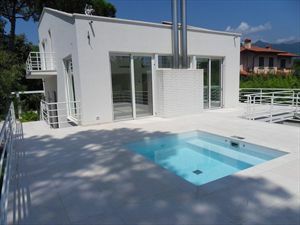 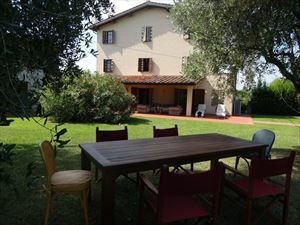 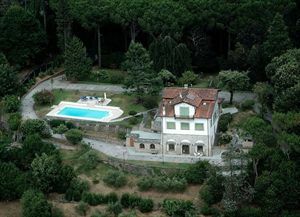 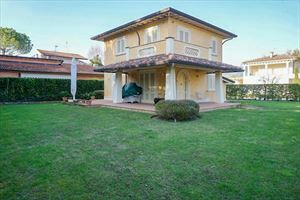 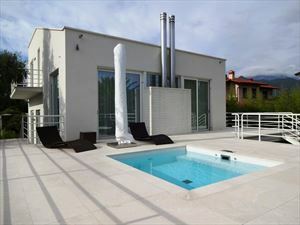 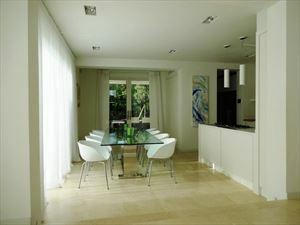 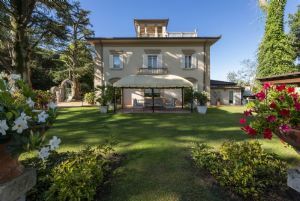 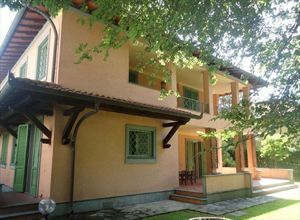 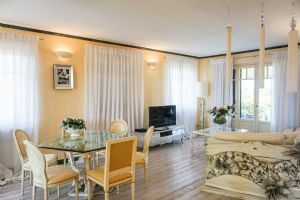 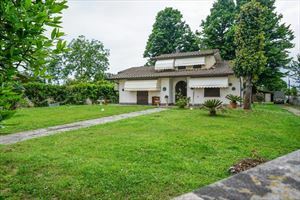 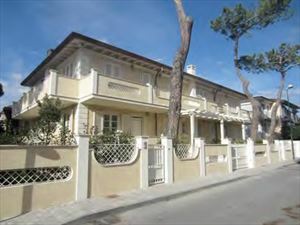 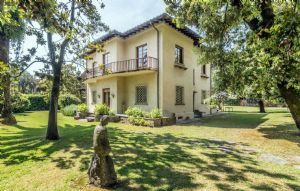 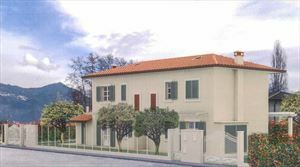 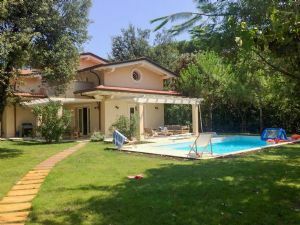 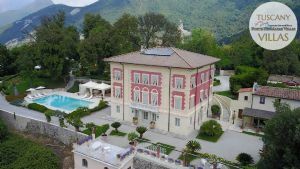 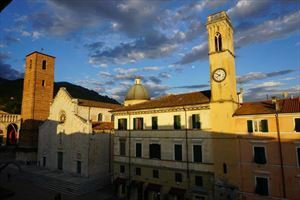 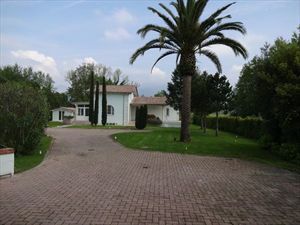 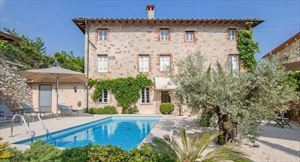 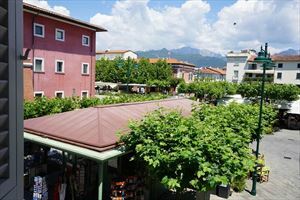 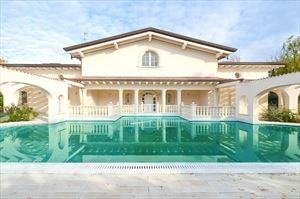 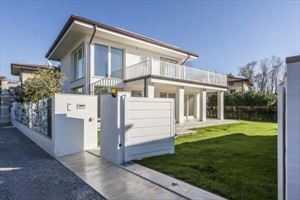 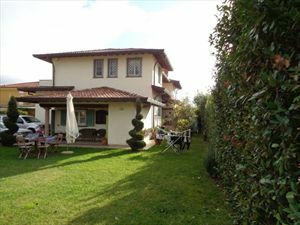 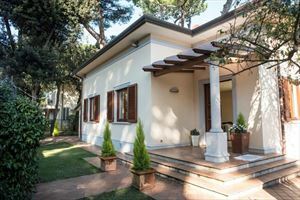 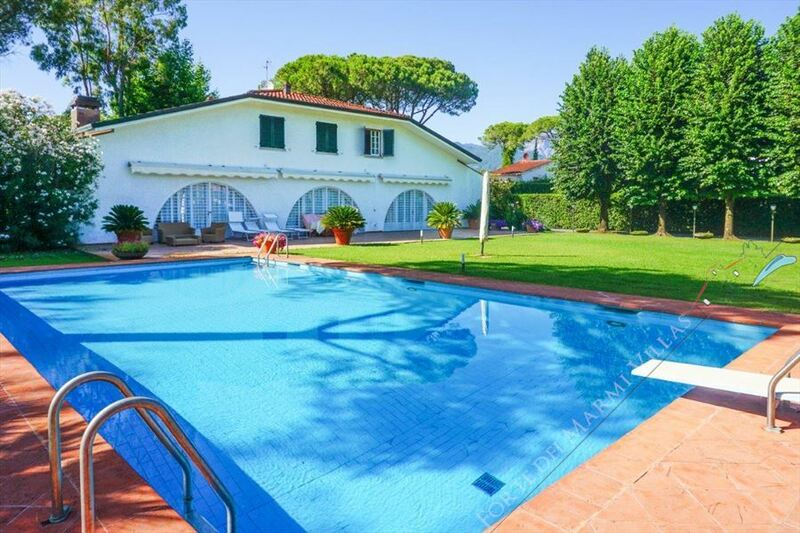 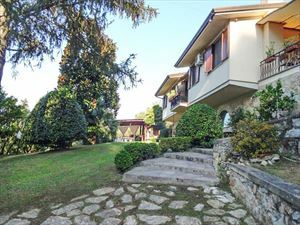 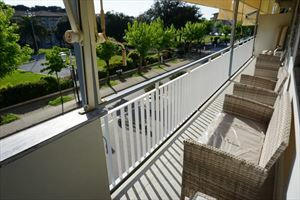 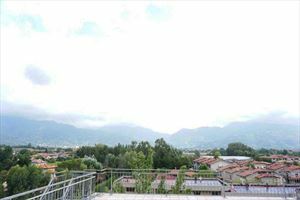 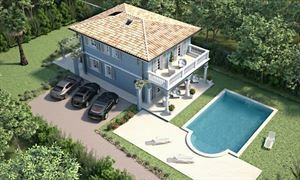 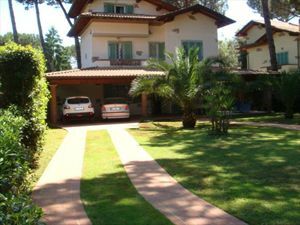 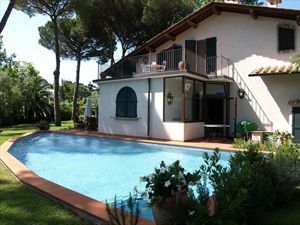 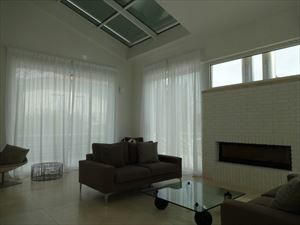 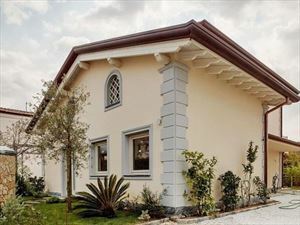 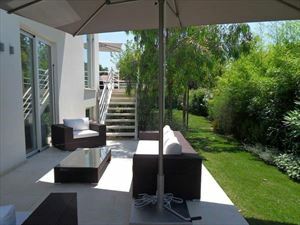 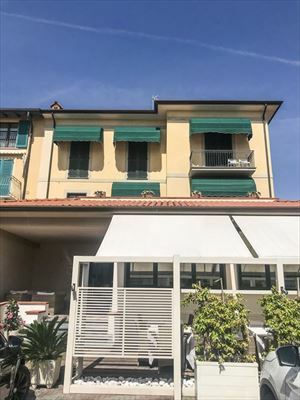 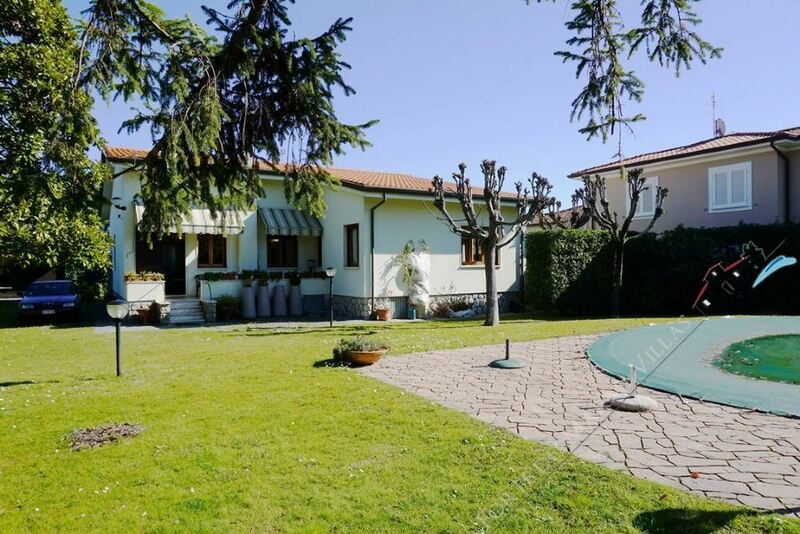 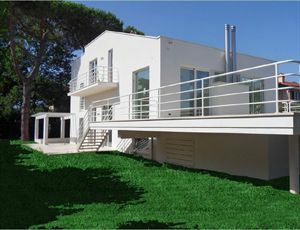 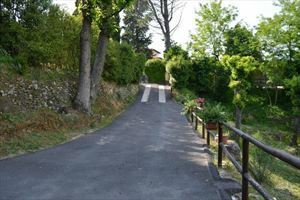 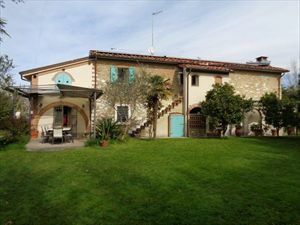 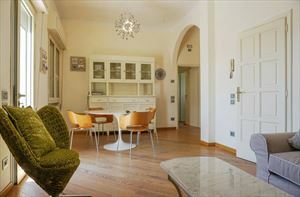 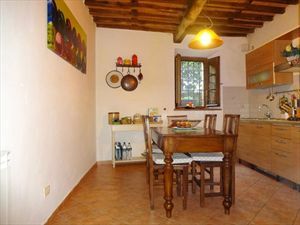 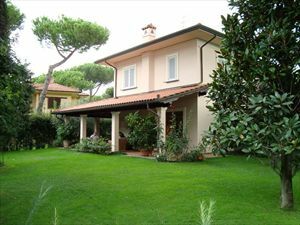 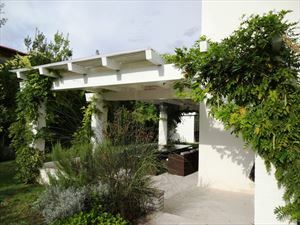 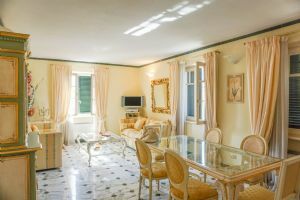 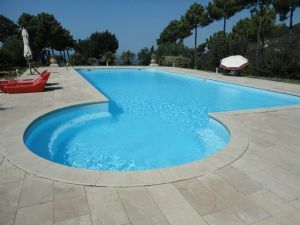 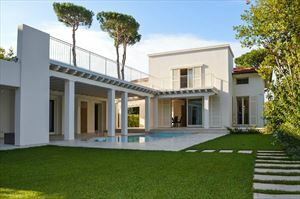 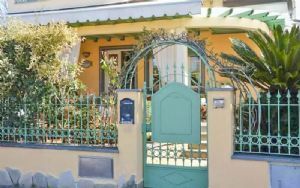 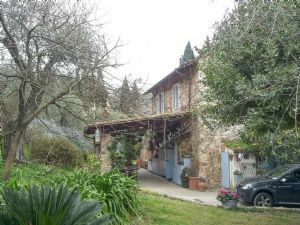 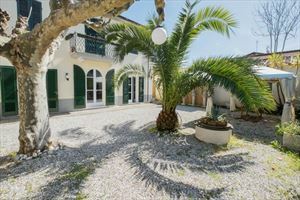 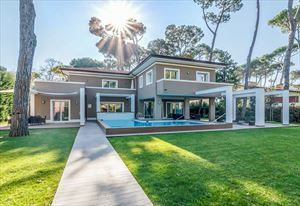 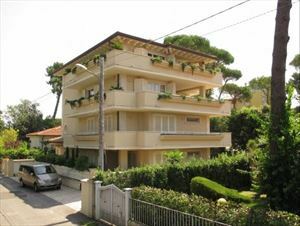 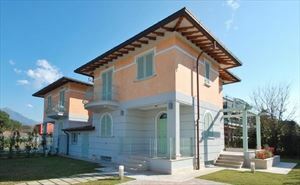 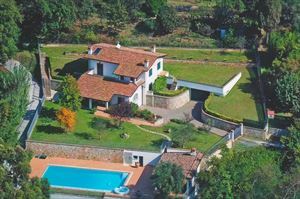 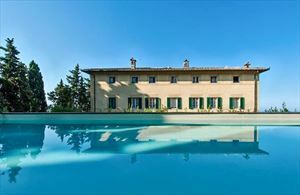 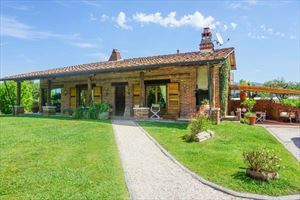 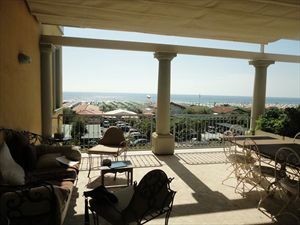 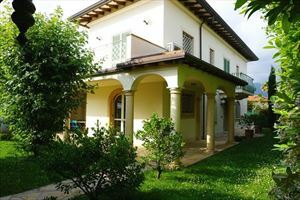 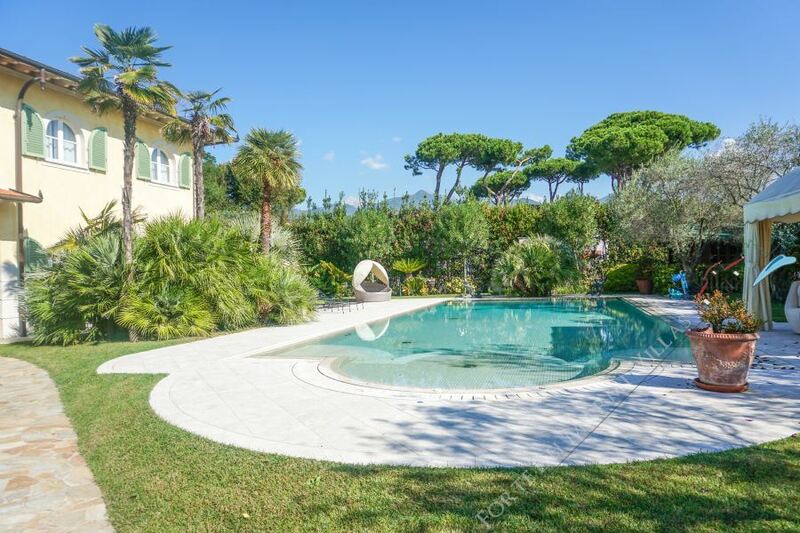 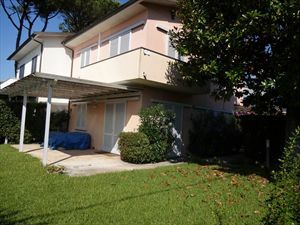 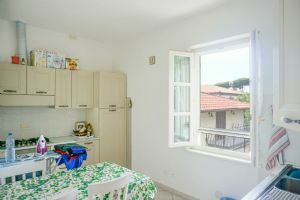 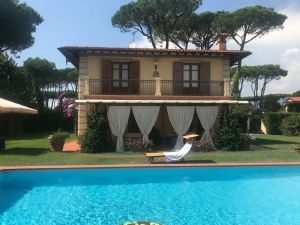 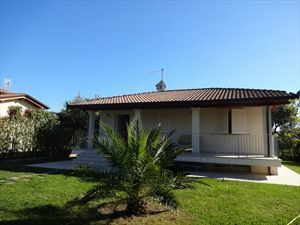 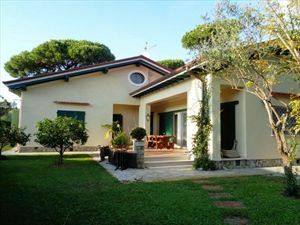 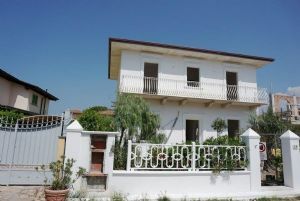 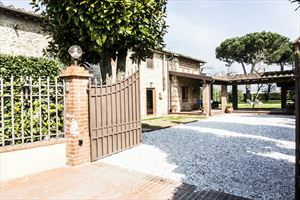 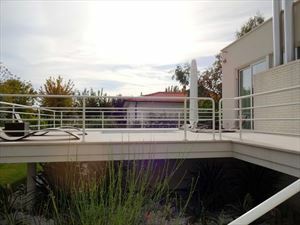 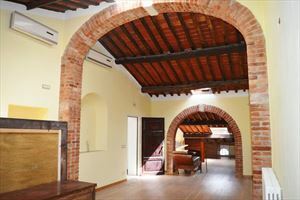 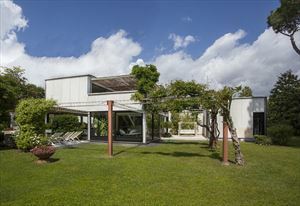 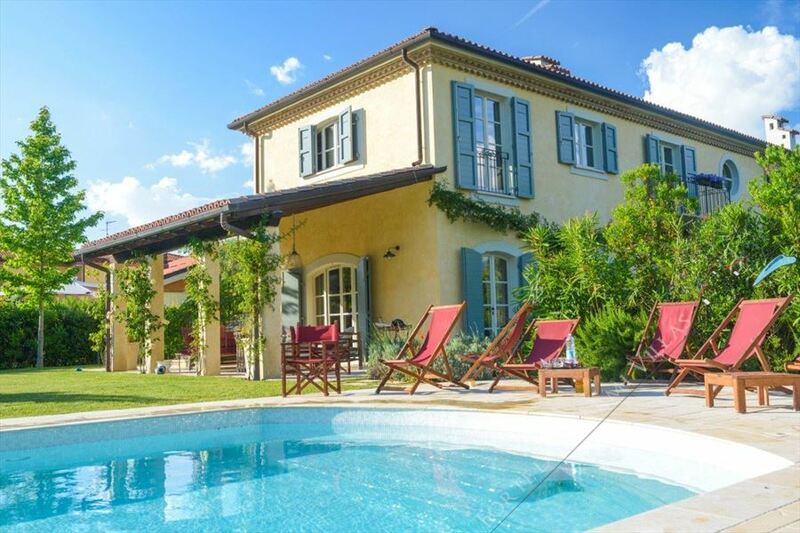 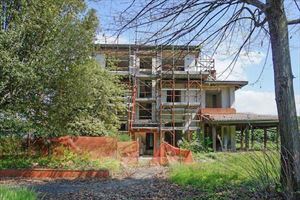 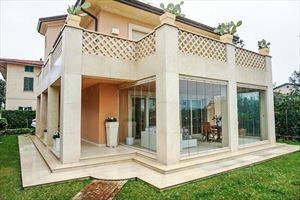 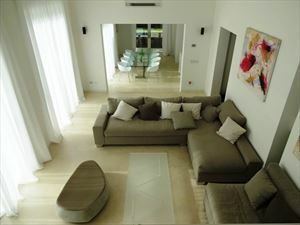 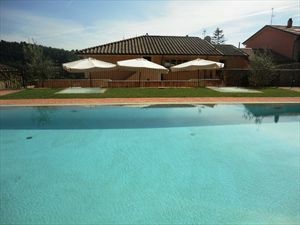 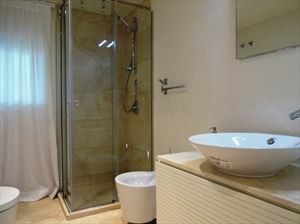 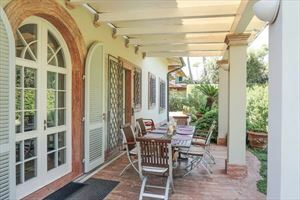 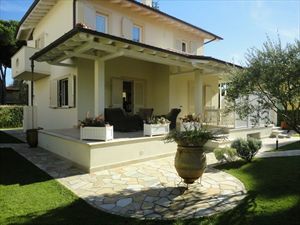 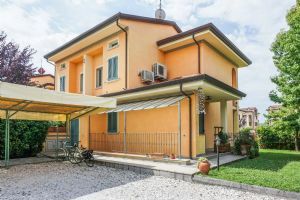 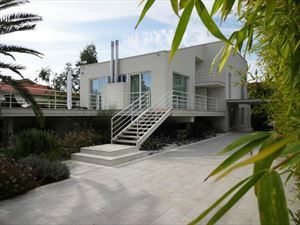 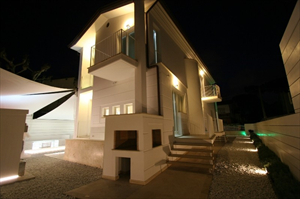 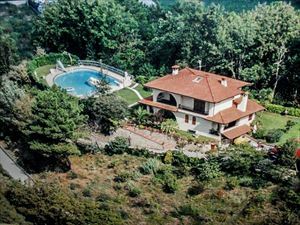 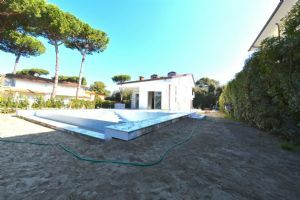 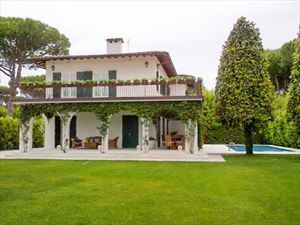 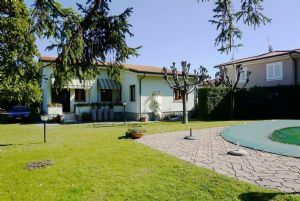 A detached villa newly constructed of approximately 300 square meters and garden of 600 square meters in Forte dei Marmi. 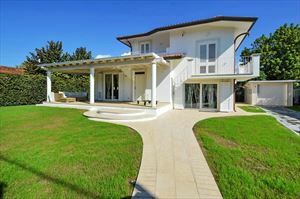 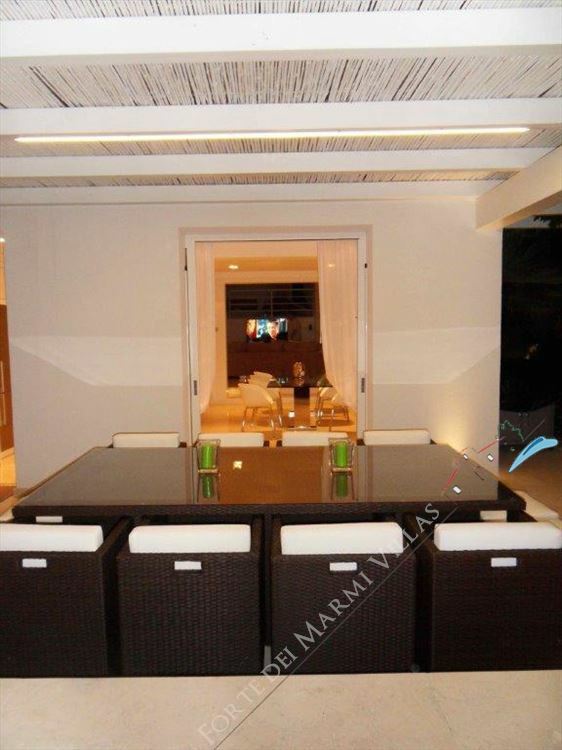 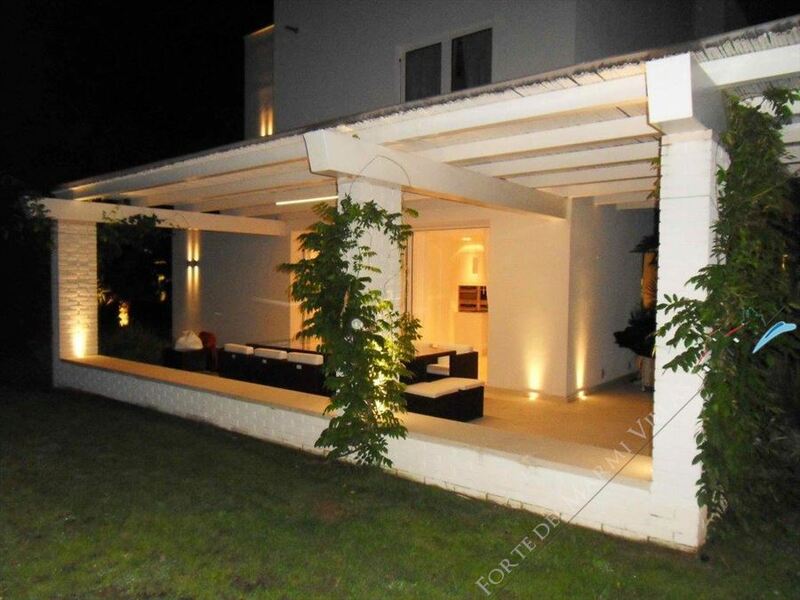 This villa, furnished in a minimalist style, is only 900 meters distant from the sea. 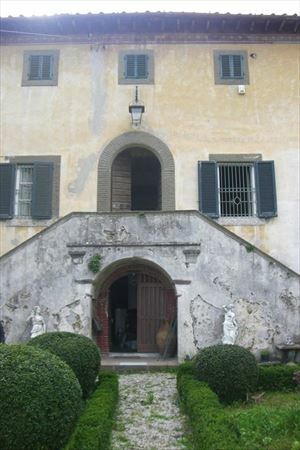 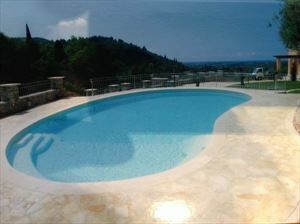 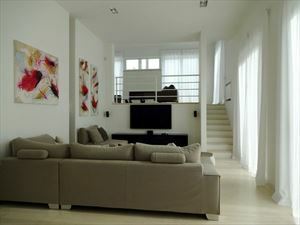 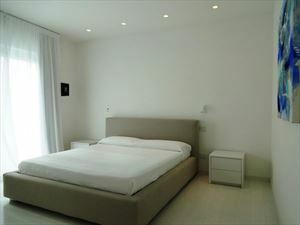 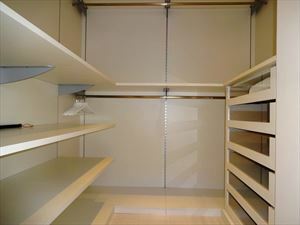 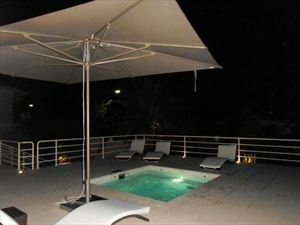 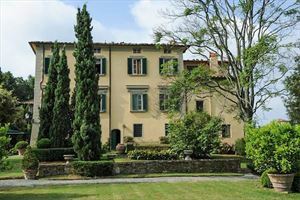 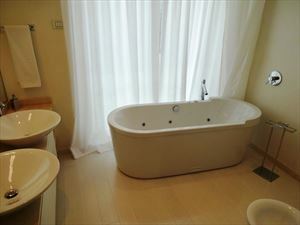 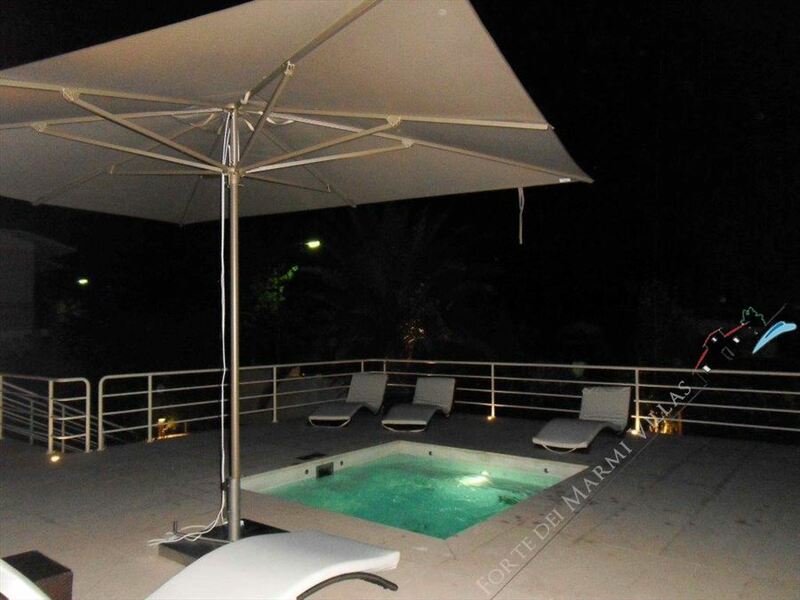 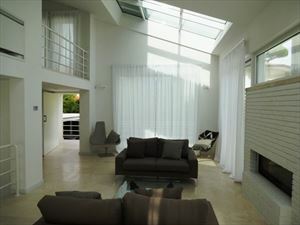 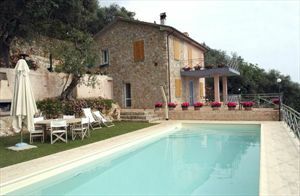 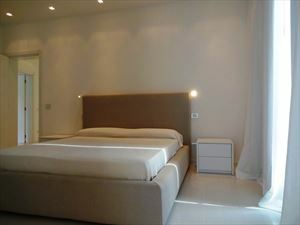 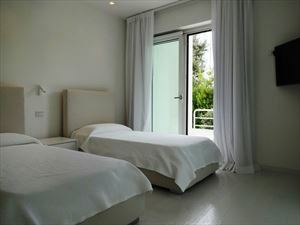 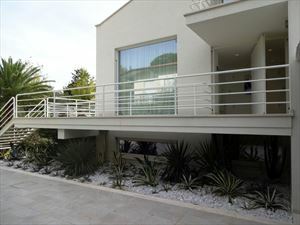 The villa has 5 bedrooms and 5 bathrooms, very innovative thanks to the hand of the architect Philippe Starck. 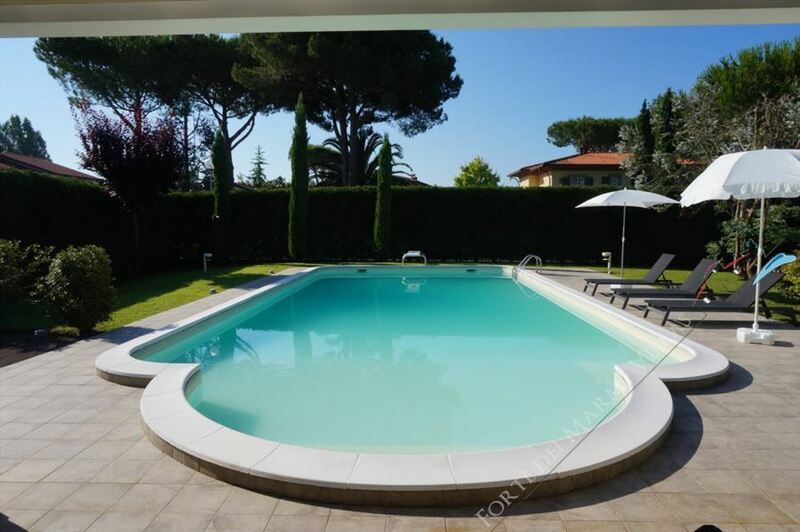 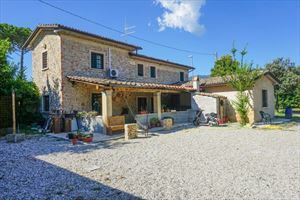 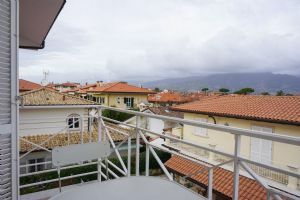 The property is also provided with a small pool (3x3 m) with bath, air conditioning, video surveillance, alarm system, TV in all rooms and in the living room, safes in all rooms, free Wi-Fi, barbecue, covered parking for 2 cars, electric gate automatic. 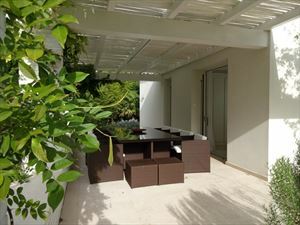 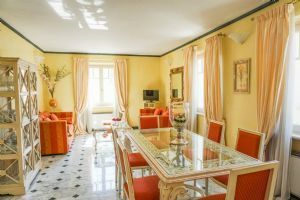 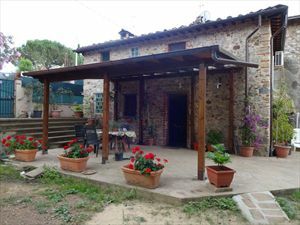 On the ground floor we find a covered terrace with table for 12 people and summer furniture, dining room, kitchen, living room, guest bathroom, master bedroom with bathroom, double room with bathroom. 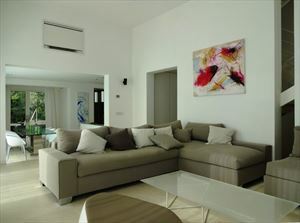 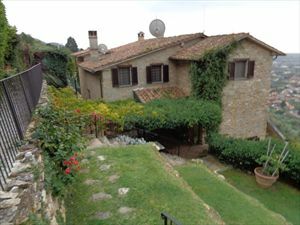 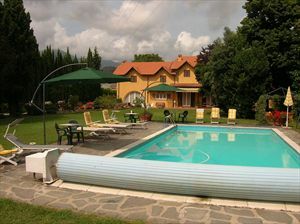 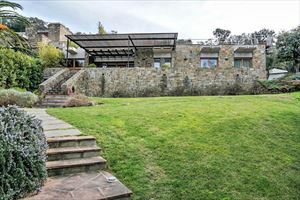 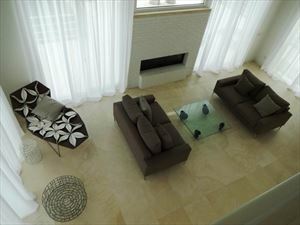 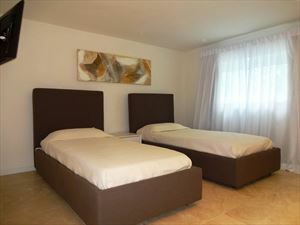 The entresol is provided with a sitting room with fireplace, terrace with solarium and small pools. 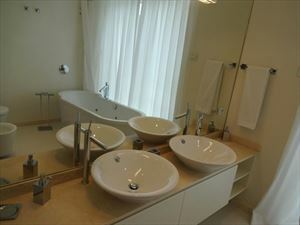 On the first floor we find a master bedroom with wardrobe and bathroom with tub, 1 double bedroom with wardrobe and bathroom, 1 double bedroom with wardrobe and bathroom.